March 15th, 2006: St. George's was presented The Manning Award for Excellence in the Public Presentation of Historic Places for outstanding leadership in preserving the church as a cultural venue for public enjoyment. St. George's Church is a Registered Heritage Structure, is wheelchair accessible and is open to the public Mon-Sat 10am to 5pm and Sun 12pm to 5pm from June to September. Free Admission (Donations gratefully accepted). St. George's is now accepting bookings for our 2019 Concert Series and 2019/2020 Wedding Bookings. The building is also available for hire for public functions, weddings, etc. Visit the Virtual Museum for more photos and information on St. George's. Our new belltower. It's very similar to this one from a 1940s photo which blew down in the 1950s. Photos of the Official Opening. Photos of a few interior items. Dates, times and admission prices for the following events will be announced when they become available. For more information, contact our Events Coordinator Vanda Maunder at 709-528-4817. 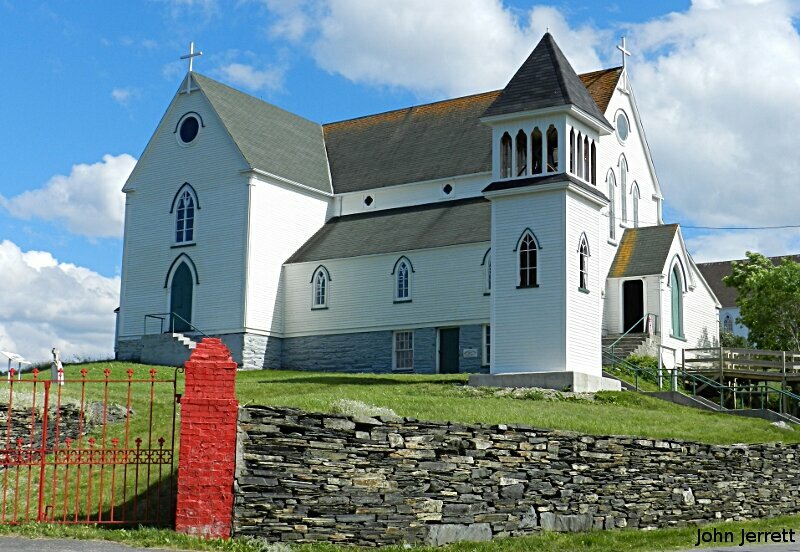 June 1st (Saturday at 7:00 pm): A Fundraiser dinner in aid of Brigus Heritage and St. George's Heritage Church. Location: The Country Corner Cafe. Tickets: $80 per person payable in advance. June 30th (Sunday): The Quicke/Mathai wedding. August 9th (Friday) at 7:30 pm: Dave Panting in concert. August 17th (Saturday) at 2:00 pm: The Tuckamore Festival - Young Artists in Concert. 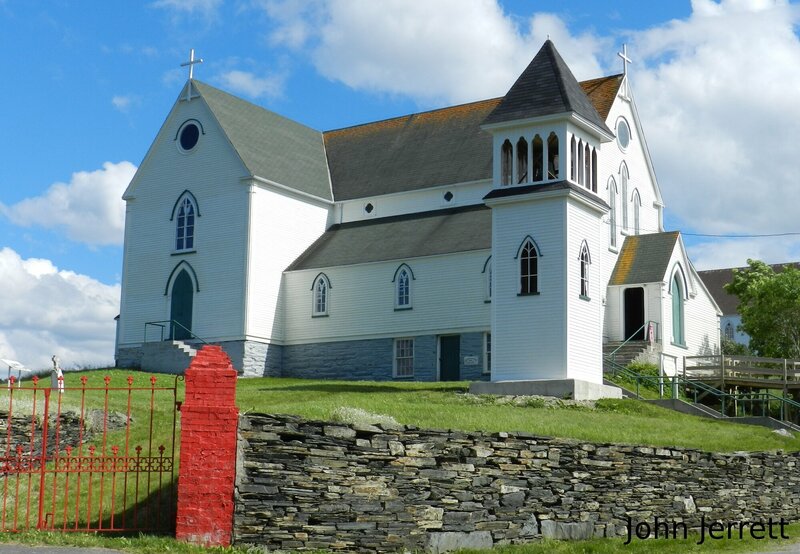 St. George's Anglican Church has been purchased by The St. George's Heritage Committee Inc. The building, all of its contents and the surrounding land (except for cemeteries) was secured for $110,000 CDN. The building will be used for concerts, plays, marriages etc and opened and preserved as an historic building. Except for repairs and improvements (e.g. removing the vinyl siding) the building itself will not be altered thus maintaining its historic value and appeal. The original bell tower, which was destroyed during a storm around 1940, is planned on being reconstructed. 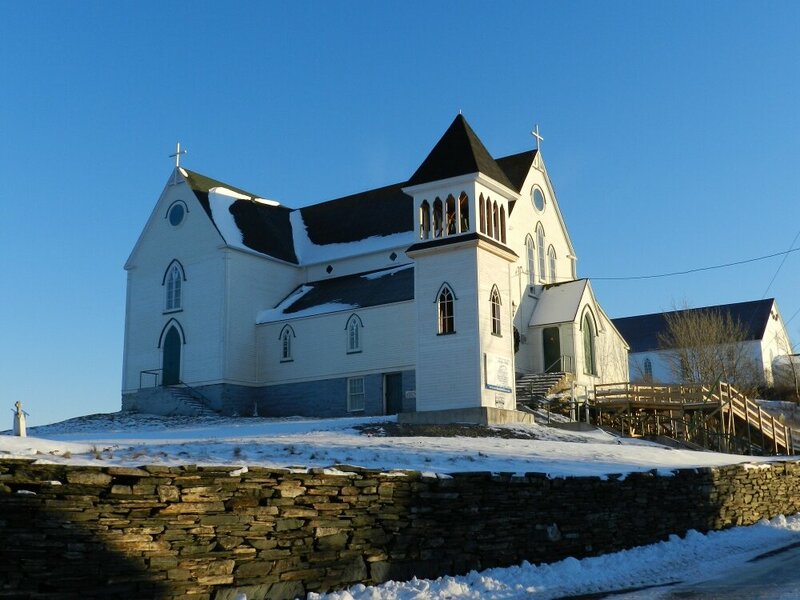 The purchase of the church by the committee will hopefully ensure that this beautiful building will remain one of the main landmarks of Brigus for many, many years to come. Its opening to the public will give many people the chance to view its wonderful interior which may have been lost forever. This wooden church was constructed in the Gothic Revival style in 1876 under the supervision of George C. Jerrett. It was presumably built by men of the congregation and other men of the town. Significant interior features include the open gable beam and timber ceilings, plastered walls and the fact that it is in nearly original condition with only a few additions. All of the original woodwork has been retained. 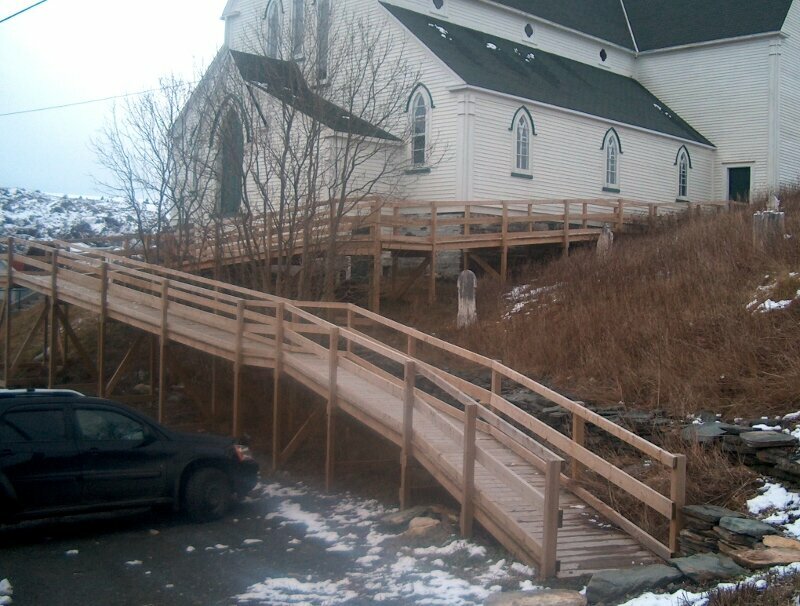 It is a landmark in Brigus, both from the land and sea. 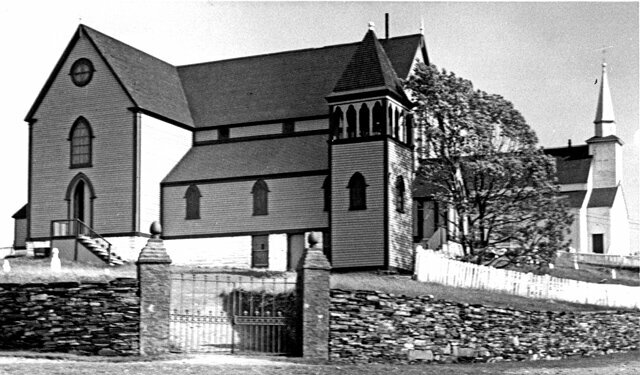 It served the Anglican Congregation of Brigus and some surrounding areas as a church, until it was sold (to the St. George's Heritage Committee Inc.) in 2004. It received recognition of its important historical value when it became a registered heritage structure in 2004. Visitors can see the beautifully carved altar, pulpit, choir pews and frontals, communion rail and pews (all made of pine) and the christening font, all of which are origianl to the building. Some of the older vessels and artifacts are displayed in covered glass cases at the back of the church. The windows are all original leaded glass with a stained glass window above the alter depicting the Cruxifiction. This window was installed in 1880 as a memorial to Rebecca Bartlett. Plaques honouring men who made the supreme sacrifice in war can be seen above their family pews. A few pictures of the interior.